We are located next to the Dairy Queen and across the street from Walgreens. Stop by and see Kathy! The Nationwide Insurance: The Bembridge Insurance Agencies, Inc. in Edenton, NC provides the following products. To learn more about each insurance product, click on the links below. 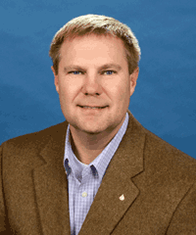 Steven L Bembridge is an insurance agent who makes it a number one priority to do what's best for members. See what a difference having the right agent and a personalized insurance plan as well as the help of Nationwide makes when it comes to protecting the investment you've made in your wheels. Insurance needs vary by individual circumstances. For example, your needs may be different if this is your first time getting auto insurance, if you have a classic car, or if you're retired and don't drive your vehicle as much as you used to. At The Bembridge Insurance Agencies, Inc., we're familiar with working with various types of driving habits, vehicles, and special needs. We also go to every length to make sure our members have every discount to which they're entitled. Let us know what your ideal auto insurance protection plan looks like and we'll work with you to make it happen. See what a well-balanced combination of dedication and experience can do for your auto insurance protection. Whenever you're ready, call us at (252) 482-5555 or pay us a visit at our offices at 708 N Broad St. The Bembridge Insurance Agencies, Inc. can help you shop for one of the most important products you'll ever buy - the home insurance policy that will protect your home assets. Learn from our Edenton agents what types of damages to include in your coverage and what claim amounts make sense for your property. For as tightly knit as Edenton neighborhoods are, no two households are exactly the same, even within 27932. For this reason, Nationwide offers a number of different home insurance products for more personalized coverage. Dwelling coverage, for example, offers financial protection for floor coverings and built-in appliances. Contents coverage includes assets like furniture, clothing, and a few other essential belongings. Valuables Plus® covers specific types of high-value items that you may keep in your Edenton home. Or you can even take advantage of Nationwide's exclusive Brand New Belongings® program. Best of all, there's no reason to feel overwhelmed by any of these decisions. Let The Bembridge Insurance Agencies, Inc. walk you through the options and clearly explain your policy choices. Simply give us a call at (252) 482-5555. Or, if you're in the 27932 area during office hours, swing by our Edenton location at 708 N Broad St, and we can discuss your home insurance options in person. No matter if you have a family, a spouse or are single, you need a life insurance plan built with the help of Steven L Bembridge in Edenton. Your plan is intended to provide you and the people most important to you with complete peace of mind, but you might be uncertain as to what kind of protection is best for your particular needs. Know that you have quick and easy access to professional help to ease your mental burden. If you’re unsatisfied with your current life insurance protection, or if you’re getting insurance for the first time, do yourself a favor and work with a life insurance agent who cares. When you’re ready, we’ll be waiting for you at The Bembridge Insurance Agencies, Inc. located at 708 N Broad St,Edenton,NC,27932. You’re also more than welcome to speak with Steven L Bembridge directly by calling (252) 482-5555. Many Edenton businesses have partnered with Nationwide and the The Bembridge Insurance Agencies, Inc. to protect against coverable losses. Our risk management advisors can build a policy customized for your company, whether it's a business owner's policy or stand-alone commercial insurance products. We can help you understand the different types of policies and coverage programs. We can show you how to choose a billing option that makes it easier for your Edenton company to pursue future growth. The Bembridge Insurance Agencies, Inc. is located at 708 N Broad St, but we help businesses throughout the greater Edenton area. Give us a call at (252) 482-5555, and let us protect what you've worked so hard to build.